Ninsabu hawn illum għal din l-aħħar konferenza stampa qabel il-Bord tal-Awtorità tal-Ippjanar jiddeċiedi jekk jagħtix il-permess lid-db Group biex jagħmel il-proġett tiegħu fuq is-sit fejn sa ftit ilu kien hemm l-ITS. Minn Frar li għadda, ir-residenti ta’ Pembroke, bl-għajnuna tal-għaqdiet u bl-involviment tal-Kunsilli Lokali ta’ Pembroke, San Ġiljan u s-Swieqi, mexxew il-kampanja “Tidfnuniex Ħajjin!” biex iqajmu kuxjenza fuq l-impatt diżastruż li se jkollu dan il-proġett, jekk isir, fuq ir-residenti u l-ambjent, u jaħdmu biex ma jiġix approvat. Nirringrazzjaw mill-qalb lil dawk kollha li ħadmu magħna u taw l-appoġġ tagħhom lil din il-kampanja. In-nies qamu għax eluf ta’ residenti jaraw dan il-proġett bħala theddida kbira għall-kwalità bażika tal-ħajja tagħhom. Id-db Group qed jipproponi binjiet enormi li fihom se jkun hemm attività kummerċjali bla waqfien 20 metru ’l bogħod mill-appartamenti tar-residenti li f’daqqa waħda se jsibu ruħhom taħt torri ta’ 38 sular u lukanda ta’ 17-il sular. Imma din mhix biss kampanja minħabba r-residenti ta’ Pembroke. Hija wkoll dwar id-dritt tagħna li l-art, speċjalment l-art pubblika, bħalm’hi din, tintuża u tiġi żviluppata skont il-bżonnijiet tan-nies, mhux biex jitpaxxew l-interessi ta’ ftit sinjuruni li għandhom is-saħħa. Barra minn hekk, il-kampanja qed tixħet l-attenzjoni fuq id-danni li dan il-proġett propost mid-db Group se jħalli fuq l-ambjent naturali. Aħna nemmnu li nhar il-Ħamis, il-Bord tal-Awtorità tal-Ippjanar għandu jivvota, bla riservi, kontra dan il-proġett minħabba l-għadd kbir ta’ effetti ħżiena li se jħalli jekk isir. Barra minn hekk, huwa ċar li dan il-proġett mhuwiex konformi mar-regoli tal-Awtorità tal-Ippjanar stess. • Se jidfen lil mijiet ta’ residenti ħajjin taħt id-dellijiet twal u wesgħin tiegħu li se jaslu saħansitra sal-impjant tar-reverse osmosis ta’ Pembroke u jdallam, tista’ tgħid b’mod permanenti, il-blokki tal-appartamenti li jinsabu ftit metri ’l bogħod mill-bini propost. • Paceville se jidħol aktar ’il ġewwa f’Pembroke u s-Swieqi għax il-proġett se jiġġenera attività kummerċjali bla waqfien fi nħawi li l-Gvern stess kien għażilhom bħala żoni residenzjali. Din l-attività se toħloq iżjed pressjoni fuq f’Pembroke u s-Swieqi u tista’ twassal biex jiġu approvati proġetti simili fil-futur qarib. L-infrastruttura li hemm fl-inħawi mhix addattata għal attività bħal din. 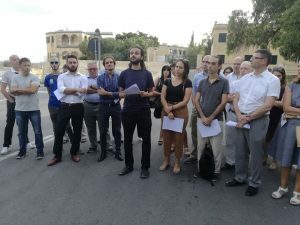 • Impossibbli tevalwa l-impatt reali sħiħ li jista’ jkollu l-proġett tad-db Group għax għad m’hemmx pjan komprensiv, jew Masterplan, għal dawn l-inħawi. Ir-rapport tal-ERA fuq dan il-proġett jirrikonoxxi li ma nistgħux inkejlu l-impatt sħiħ minħabba n-nuqqas ta’ Masterplan, u għalhekk impossibbli nifhmu l-impatt kumultattiv li se jkun hemm fuq dawn l-inħawi meta jitqiesu l-proġetti kollha li diġà qed isiru jew hemm proposti li jsiru. • Jista’ jkun li l-proġett se joħloq diżastru ekoloġiku minħabba x-xogħlijiet li se jsiru fuq Għar Ħarq Ħammiem u maġenbu. Dan il-post taħt l-art huwa sit ta’ Importanza Ekoloġika u Xjentifika kbira. L-istudju tal-impatt ambjentali li kkummissjona l-iżviluppatur stess jirreferi għall-impatt ħażin fuq l-Għar. • Il-proġett propost jinsab maġenb żewġ siti tan-Natura 2000 li bilfors se jintlaqtu ħażin, kemm meta jkunu telgħin dawn il-binjiet enormi kif ukoll meta jitlestew u jibdew jintużaw. • Effettivament, id-db Group irid jipprivatizza l-blat tal-Bajja ta’ San Ġorġ. Dan imur kontra l-Liġi tad-Dominju Pubbliku. • Minħabba dan il-proġett se jkun hemm żieda ta’ 7000 vjaġġ kuljum bil-karozza fit-toroq tal-inħawi. L-iżviluppatur qed jgħid li t-traffiku insostenibbli u t-tniġġis li se ġġib magħha din iż-żieda fil-karozzi se jpatti għalihom il-bini ta’ mina. Iżda din il-mina mhix parti mill-applikazzjoni tiegħu. Jiġifieri, effettivament, din il-mina ma teżistix u ma tistax tissemma meta niddiskutu dan il-proġett. Barra minn hekk, anki jekk tinbena din il-mina, se taqdi l-aktar lid-db Group u l-klijenti tiegħu u mhix se ssolvi l-problemi kbar tat-traffiku fl-inħawi. • L-iżviluppatur irid iqiegħed impjant li jagħmel il-konkrit, magħruf bħala “batching plant”, ftit metri ’l bogħod mid-djar tan-nies. Impjant bħal dan iħalli konsegwenzi koroh fuq l-ambjent, fost l-oħrajn minħabba t-tixrid ta’ trab irqiq ħafna li jagħmel ħsara kbira lis-saħħa. • It-torri propost mhuwiex konformi mal-politika tal-Floor Area Ratio li tirregola r-relazzjoni bejn l-għoli tal-bini u l-firxa tal-art fejn jinbena. Mhuwiex konformi kemm minħabba n-numru ta’ toroq li hemm bżonn madwar is-sit tal-iżvilupp kif ukoll minħabba r-regola li 50% tal-ispazju kollu jrid ikun spazju pubbliku miftuħ għal kulħadd. • Il-Kumitat ta’ Konsulenza dwar id-Disinn tal-Awtorità tal-Ippjanar stess kien iddeskriva dan il-proġett bħala “sproponzjonat fil-kuntest tiegħu”. Għalkemm ir-rapport tal-uffiċjal tal-Awtorità inkarigat minn dan il-każ donnu jagħti x’jifhem li l-Kumitat biddel fehmtu wara li d-db Group immodifika d-disinji tiegħu, diffiċli tifhem x’wassal għal din il-bidla fil-pożizzjoni għax il-bidliet li għamel l-iżviluppatur huma pjuttost insinifikanti. Kulma għamel kien li naqqas l-għoli tat-torri bi tmien metri u neħħi sular wieħed mil-lukanda. Meta tqis l-effetti negattivi ta’ kull xorta li se jħalli dan il-proġett jekk isir, ma tistagħġibx li kważi kulħadd huwa kontrih. F’din l-aħħar sena, ebda entità jew organizzazzjoni ma tkellmet favurih. Għalhekk, id-deċiżjoni li se jieħu l-Bord tal-Awtorità nhar il-Ħamis trid tirrispetta l-prinċipju demokratiku. L-Awtorità tal-Ippjanar se tivvota favur l-interessi ta’ żviluppatur sinjurun li l-proġett tiegħu se jolqot ħażin ħafna lil kulħadd, jew se tħares l-interessi tan-nies u tipproteġi l-ambjent? We are here this afternoon for our last Press Conference before the PA Board decides on Thursday whether to grant permission to the db Group proposed development on the ITS site. 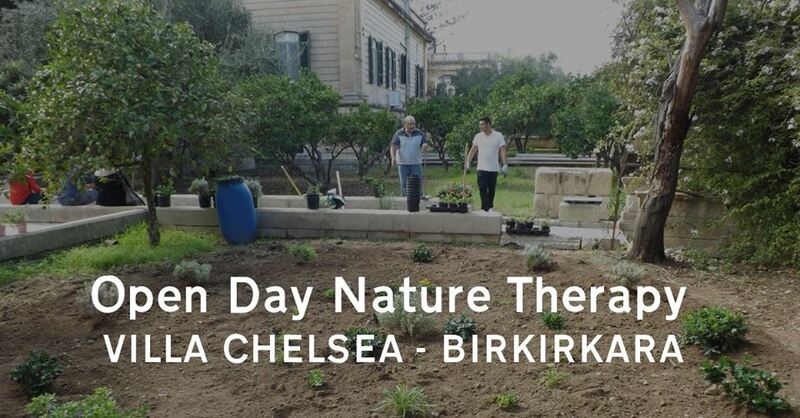 Since last February, Pembroke residents, with the support of NGOs and the involvement of the Pembroke, St Julian’s and Swieqi local councils, have led the “Do Not Bury Us Alive” campaign in order to raise awareness on the disastrous impact this project would have on residents and the environment, and to oppose its approval. We sincerely thank everyone who was involved or supported our campaign. This campaign was triggered by the alarm of thousands of residents who see this project as an imminent threat to their very basic quality of life. What is being proposed by the db Group are structures of gigantic proportions hosting intense commercial activity, literally across the road from a heavily residential area that lies below the site on which a 38-storey tower and 17-storey hotel would be built. However, this campaign is not only about Pembroke residents. It is also about demanding that spaces, especially public land such as this one, are used and developed according to the people’s needs, and not the interests of a few individuals with money and power. Moreover, we are highlighting the deleterious effect on the natural environment that the db Group project will have. We believe that on Thursday the PA Board should refuse in no uncertain terms this project due to the very long list of harmful consequences and the fact that it is clearly not in line with the PA’s own policies. • It will bury hundreds of residents alive under its long and wide shadows, that will reach as far as the reverse osmosis plant and place almost permanent darkness on the blocks of flats lying across the road. • Paceville will further invade Pembroke and Swieqi since the project will generate incessant commercial activity in an area that was designated by Government itself as a residential one. Such activity will also create more pressure for similar development in Pembroke and Swieqi in the near future. The surrounding infrastructure is also clearly inadequate to host such activity. • It is impossible to assess the real and full impact of the db Group project, since there is no Masterplan for that area. The ERA report on this project acknowledges that the full extent of its impact cannot be measured due to the lack of a Masterplan, making it impossible to understand the cumulative impact resulting from other existing and proposed projects. 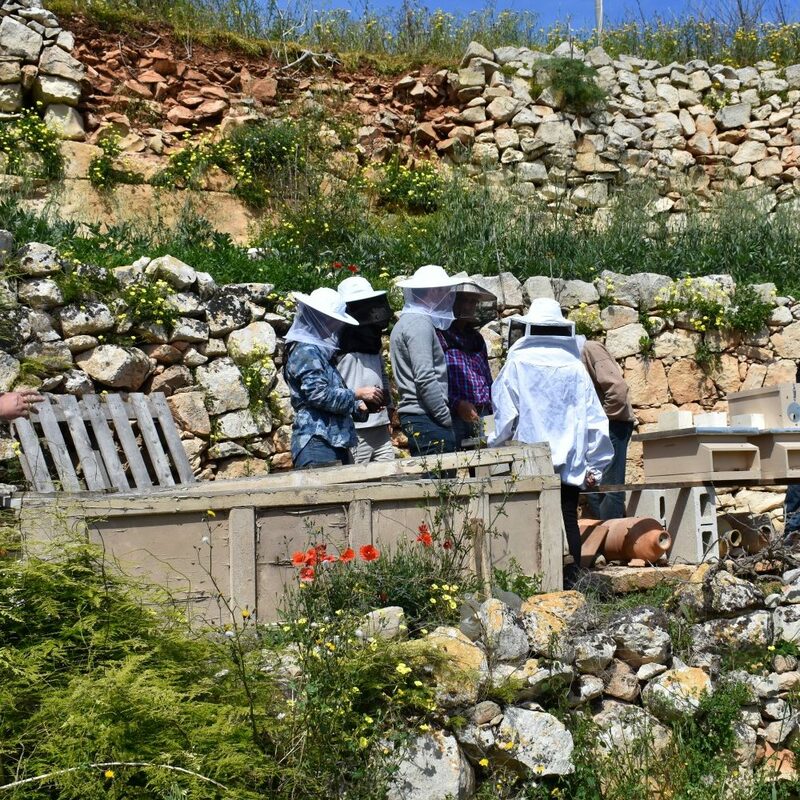 • It can potentially bring about an ecological disaster as works will be carried out on top of, and adjacent to, the Ħarq Ħammiem Cave, designated as an area of Ecological Importance and a site of Scientific Importance. The developer’s impact assessment itself identifies an adverse impact on the cave. • The project lies next to two Natura 2000 sites, that will be inevitably affected both during the construction phase and the operational one. • db Group would, in practice, privatise the rocky part of St. Georges Bay. This runs counter to the Public Domain Act. • The project will generate about 7,000 additional car trips daily. Developers are stating that the unsustainable traffic and pollution brought about by this increase is to be addressed through the construction of a tunnel. However, this tunnel is not part of their application and it will require a separate application for its approval and construction. Thus, the tunnel is, in effect, inexistent and cannot be considered when discussing this project. Moreover, even if the proposed tunnel is built, it will primarily serve the needs of the db Group and it won’t adequately address the traffic problem in the surrounding areas. • A concrete-making plant, called a batching plant, would be installed a few meters away from residents’ homes, with inevitable environmental consequences, including the spread of insidious dust particles. • The proposed high-rise is not in line with the Floor Area Ratio policy, both in terms of the number of roads needed around the developed site, and in terms of the requirement that 50% of the site is to be public open space. • The PA’s own Design Advisory Committee had described this project as “out of scale with its context”. Although the Case Officer’s report seems to indicate that the Committee changed its stance after the db Group modified its designs, one struggles to understand what led to this change of position since the modifications by the developer are practically insignificant – they just reduced 8 meters from the tower and removed one floor from the hotel. Considering the wide-raging adverse impacts of this project, it is no wonder that almost everyone is against its approval. 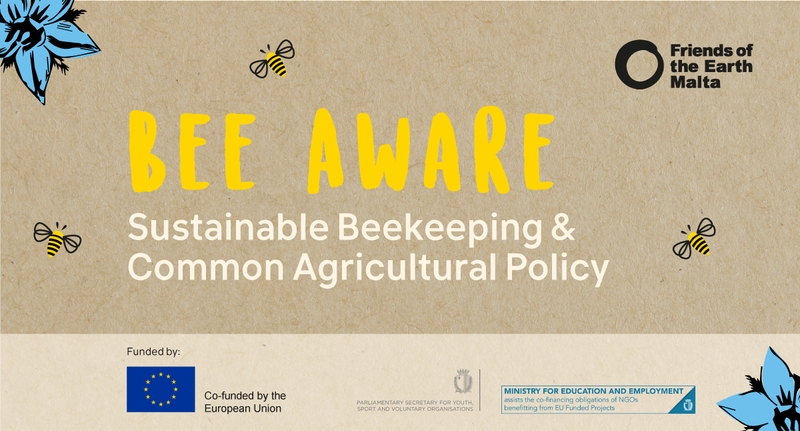 During the past year, no entity or organisation has taken a stand in favour of this project. Thus, the decision of the PA Board on Thursday is about respecting the democratic principle. Will the PA vote in favour of the interests of a wealthy developer whose project will negatively impact everyone else, or will it safeguard the interests of the people and the environment?